I strongly believe in introducing preschoolers to nursery rhymes. Because we absolutely love using nursery rhymes during our homeschool morning time, I’ve been slowly creating a collection of fun nursery rhyme printables. Today I want to introduce you to our Five Little Ducks printable pack! This sweet poem is perfect for kids ages 3-5 and even some 2 year olds because the song is just so cute and can be interactive. As a child I can remember singing these silly songs and doing hand motions to go along with them. I now do them with my littles and we laugh and have so much fun! 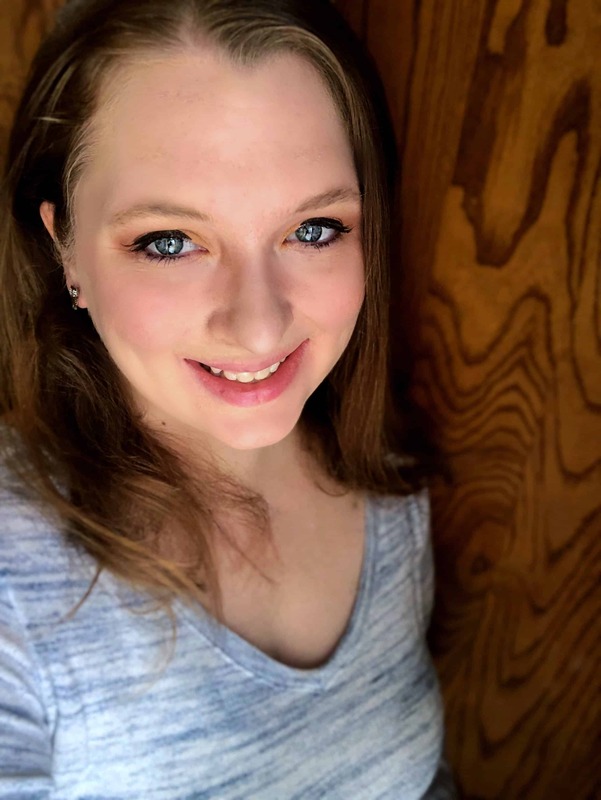 One of the reasons I love nursery rhymes and cute poems so much is because they are easy to memorize, help young children develop their vocabulary skills, and are fun! I teach nursery rhymes one at a time. Sometimes we work on one per month because I am teaching older children, too, so it’s easy to just focus on one nursery rhyme a month. I print out the color version of the nursery rhyme, pop it into my morning time binder, and sing the song with my kids. My kids’ favorite part of these printable packs are the puppets. You can do so many different things with them. Print out, laminate, and put on popsicle sticks, velcro, or use on a felt board. These puppets would be cute turned into finger puppets. I’ve also included a super cute mini book for kids to color and cut. Staple it together for your child and they can have their very own, “Five Little Ducks” book! 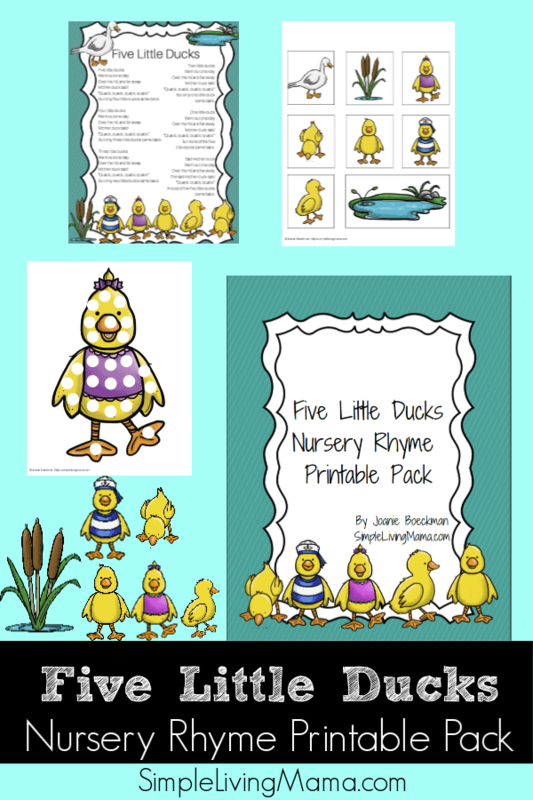 This nursery rhyme printable pack pairs perfectly with my Make Way for Ducklings preschool lesson plans. The color version of this poem is included in that pack, but these fun printables would make a cute addition to your preschool time with your littles! I love creating preschool themes based on books for my kids, too! Don’t forget you’re going to want to keep a copy of children’s nursery rhymes in your morning basket. We like Lavender’s Blue and The Real Mother Goose. Want to get your copy of the Five Little Ducks printable pack? Check out our shop! I am so, so excited to share with you the Early Learning Bundle that is available now through Saturday, February 9th. 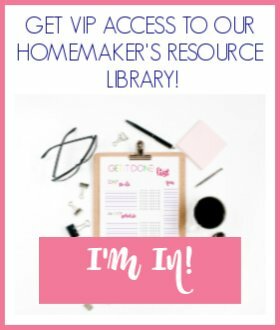 There are several products included in this bundle that I’m planning to use with my kids, and it’s only $15! Go check it out!